Come see what the âburgâ has to offer you! 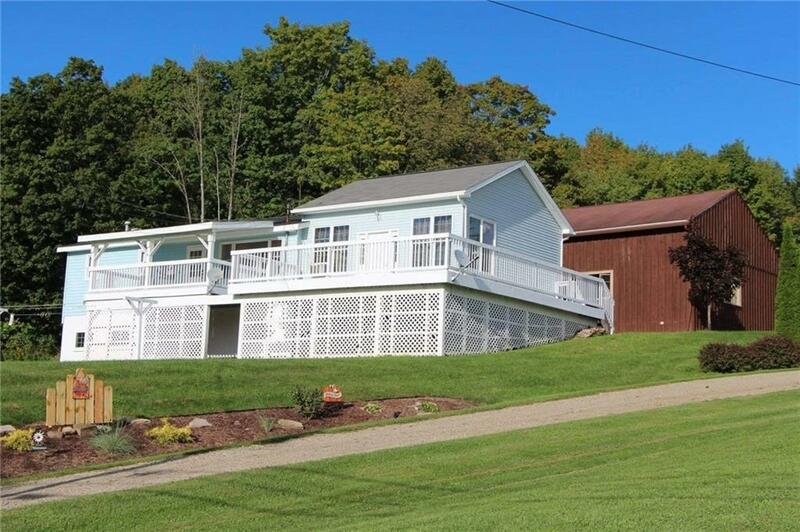 Just a few minutes away from schools, local shops, and restaurants sits a 3 bedroom home on 1.4 acres of land. Open concept kitchen, dining, and living room that has been built with an array of beautiful wood for that rustic and homey feel. Raised decks that you can enter from both the living and dining room. 2 bedrooms and 1 bath on the first floor. Basement level has one finished bedroom with the space to finish off another room to suit your needs. Walk out basement to patio. The over-sized garage has 14 ft overhead door/ceilings that's perfect for your workshop! Newer Wood stove that heats the garage as well as supplemental heat for the house to help keep utility costs down! Most hardwood furnishings are included with the home!